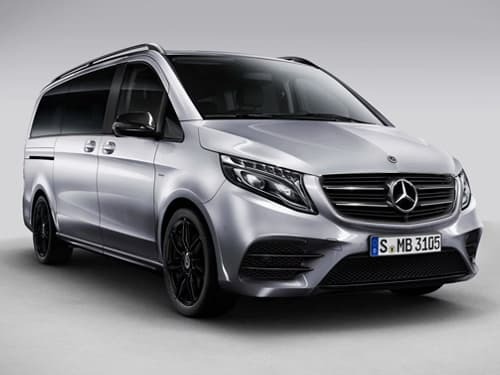 Before a facelifted V-Class arrives later in the year, Mercedes have announced a Night Edition for their luxurious people carrier. The new Night Edition offers some more athletic exterior styling, with several AMG upgrades featuring. 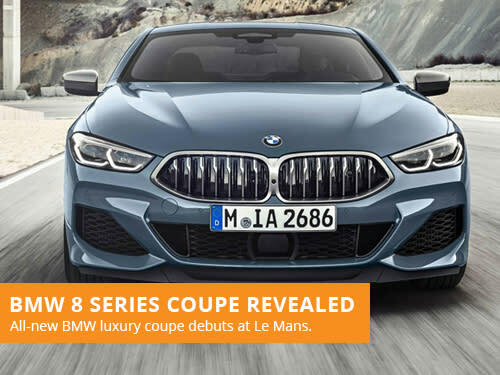 This includes AMG front and rear aprons, new radiator grille with two louvres in high-gloss black, black mirrors, tinted rear windows and plenty of Edition badges. Perhaps the highlight of the exterior is the new 10-inch AMG black alloy wheels with seven-twin-spoke design. There are no pictures of the Night Edition interior at the time of writing, however it will expected to be upgrade the already upmarket cabin further. Upgrades inside the people carrier include black nappa leather, enhanced leather dashboard, Edition floor mats and a black roof liner. Standard equipment for the Night Class is also generous, as the Parking package with a 360-degree camera is included as standard. 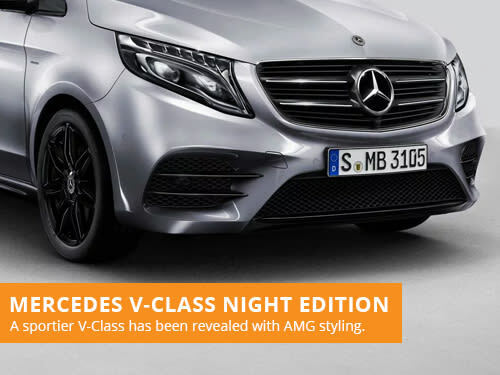 The Night Edition will actually have a cheaper list price than a traditional V Class with the same specification. The powertrain for the AMG Night Edition remains unchanged with a 2.1-litre turbodiesel engine developing 190 horsepower. The Mercedes-Benz V-Class Night Edition will be available to lease shortly. If you are looking to lease a Mercedes, take a look at our offers. With over 36 years of leasing experience, we are one of the most established brokers in the industry. Our leasing consultants focus on providing great customer service over our own profits, with a flexible and consultative approach to vehicle leasing. 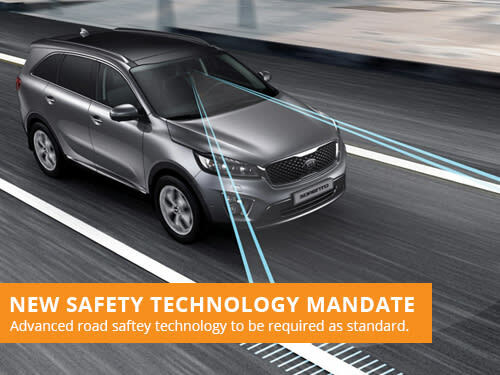 The European Commission have revealed plans to ensure all new cars built from 2021 onwards feature several advanced safety features as standard.